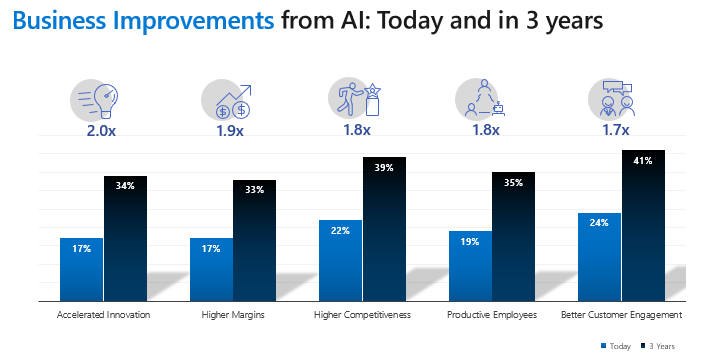 Asia Pacific, Singapore, 1 April 2019 – Microsoft Asia and IDC Asia/Pacific today released findings specific to the manufacturing sector for the study, Future Ready Business: Assessing Asia Pacific’s Growth with AI. More than half of the manufacturing workers, and nearly half of the business leaders polled believe that cultural traits and behaviours are not pervasive in their organisation today. For example, 63% of workers and 57% of business leaders do not agree that employees are empowered to take risks, and act with speed and agility within the organisation. Business leaders: Business and IT leaders from organisations with more than 250 staff were polled. Respondents were decision makers involved in shaping their organisation’s business and digital strategy. Workers: Respondents screened have an understanding of Artificial Intelligence today, and do not play a role in decision making process within their organisation.